Blazing technical death metal from the wilds of Scotland, From Sorrow to Serenity are the kind of band I could see taking up a prime spot on the UK Tech Fest in a couple of years. 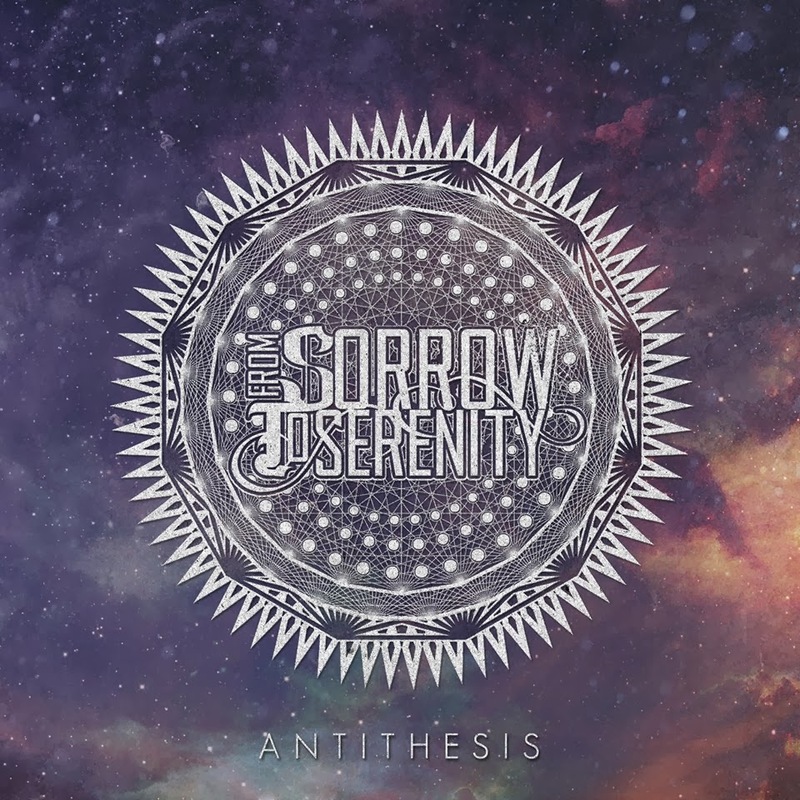 There new four song EP Antithesis is inspirational and powerful. With a djent inflected technical death metal sound From Sorrow to Serenity make their mark as the sort of band who are going somewhere. Scottish masters to propel us forward in an age where tech death seems to be falling apart all around us, From Sorrow to Serenity seek to bring forth a new era for the genre. One of the interesting things about this record is the way it fuses Veil of Maya style atmospherics and rhythms with a more death metal derived approach. The result of this is music that has touches but is by no means 'obliged' to call itself djent. For one thing, the bass playing is incendiary, it gives a special magic to songs like Dead Reign. The guitar lines are often tightly structured and very melodic. They add a lot of flavor to the songs and keep things interesting. They frequently provide a slightly off kilter approach to the songs and help to keep things fresh and interesting. And really, that is one of the key selling points of Antithesis it's just an album that is purely the musicians souls, and is thus fresh. In finishing, technical death metal seems to be on the decline worldwide, yet I get the feeling that this is not going to stop Sorrow to Serenity from rising up to the top echelons of the metal world. While their new EP may be short it definitely takes the listener on the journey and when you have finished you are left with a sense of completion. A record that puts a bit of the old magic in tech death with an original and poignant sound you get the distinct impression From Sorrow to Serenity are going places and Antithesis is just one of the first steps in what promises to be a long stairway to the top.